Even just a look at your smiling face makes me feel a bit better about life. She declares herself the “oldest living teenager,” and infuses her sense of wonder, humour, and curiosity into her bold, highly colourful designs. 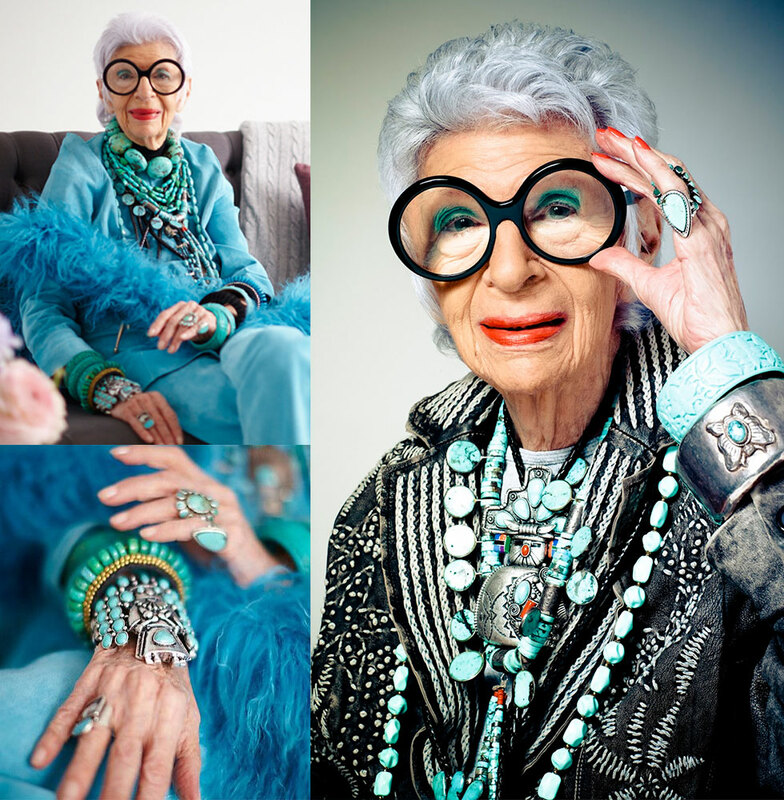 A 96 year old living legend and genuine fashion, Iris has been honoured with awards, museum exhibits, and a documentary, among many other outstanding achievements. 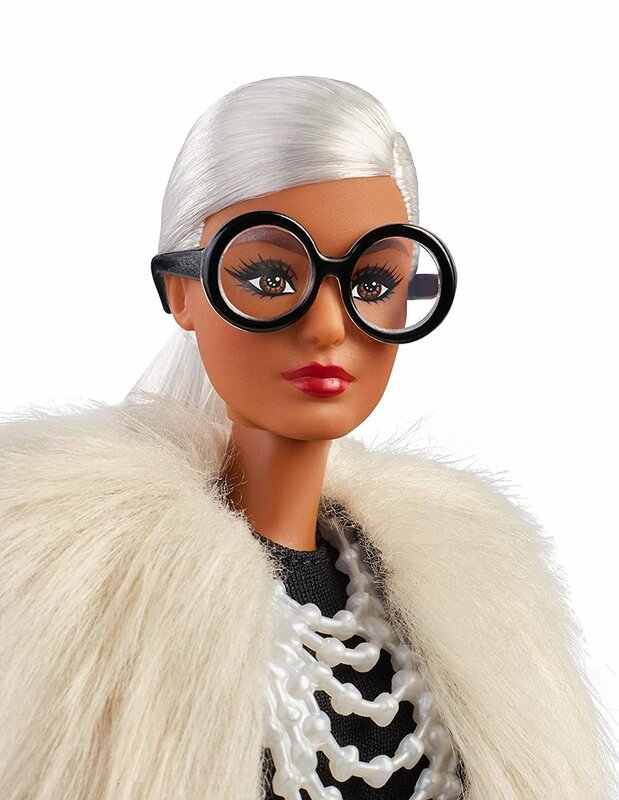 Now she has turned her her signature oversized spectacles on Barbie and has styled and created two dolls. 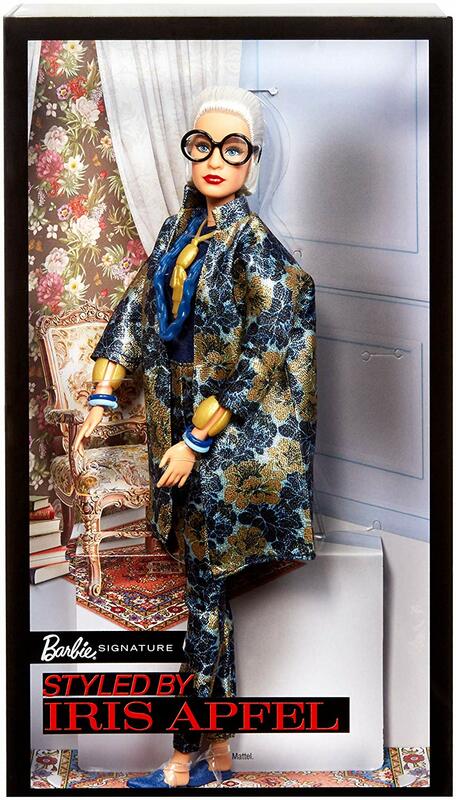 The Barbie® Styled by Iris Apfel doll models a look from the designer’s Rara Avis collection. She wears oversized chic black glasses (of course), a multi-hued faux fur vest, fringed bell bottoms and a multi-strand “pearl” necklace and bracelet cuff—all celebrating the vitality, wit, and unwavering fashion sense of a true original. Includes doll, doll stand and Certificate of Authenticity. Colors and decorations may vary. Now I don’t know about you but I’m thinking that if we all just bought a doll and played with her for a few hours it might help us forget about the balls up that is Brexit and trauma that is being governed by The Trumpet.